The ideal of a neutral, objective press has proven in recent years to be just that—an ideal. In Governing with the News, Timothy E. Cook goes far beyond the single claim that the press is not impartial to argue that the news media are in fact a political institution integral to the day-to-day operations of our government. 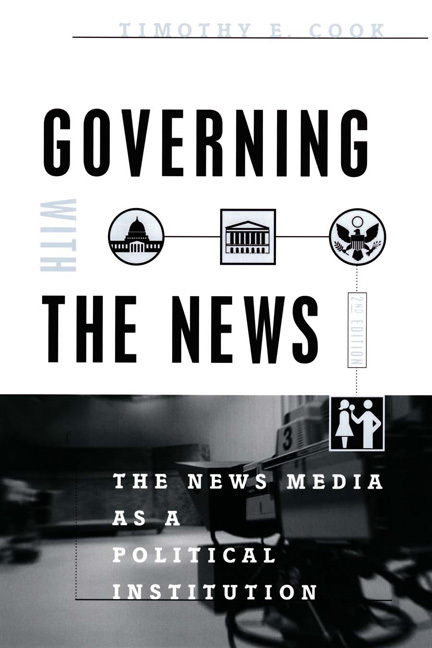 This updated edition includes a new afterword by the author, which pays close attention to two key developments in the twenty-first century: the accelerating fragmentation of the mass media and the continuing decline of Americans’ confidence in the press. 1. Introduction: Why Don’t We Call Journalists Political Actors?